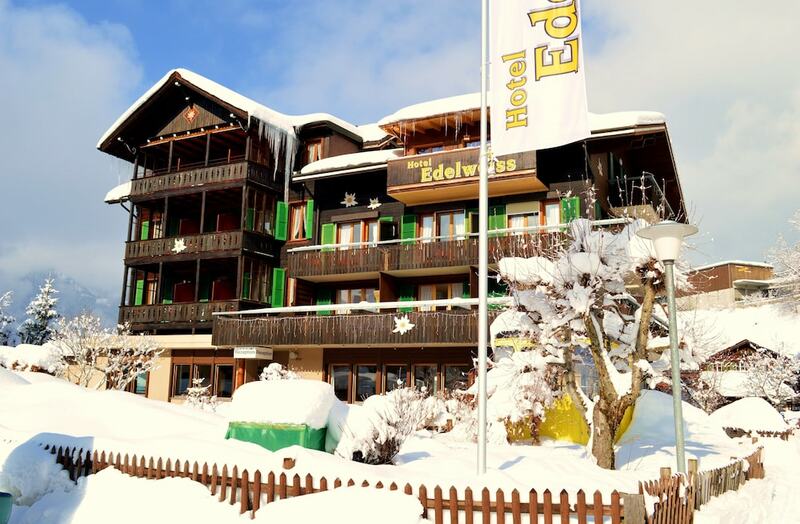 With a stay at Hotel Edelweiss in Wengen, you'll be in the mountains and close to Kleine Scheidegg and Trummelbach Falls. This hotel is within the vicinity of Eiger and Jungfraujoch. Stay in one of 25 guestrooms featuring flat-screen televisions. Complimentary wired and wireless Internet access keeps you connected, and cable programming provides entertainment. Private bathrooms with showers feature complimentary toiletries and hair dryers. Conveniences include safes and desks, and housekeeping is provided daily. Take advantage of recreation opportunities such as a sauna or take in the view from a terrace and a garden. This hotel also features complimentary wireless Internet access, shopping on site, and a television in a common area. Grab a bite to eat at one of the hotel's many dining establishments, which include 10 restaurants and a coffee shop/café. Wrap up your day with a drink at the bar/lounge. A complimentary buffet breakfast is served daily from 7:00 AM to 10:00 AM. Featured amenities include complimentary wired Internet access, a business center, and express check-in. Planning an event in Wengen? This hotel has facilities measuring 0 square feet (0 square meters), including conference space. A tax is imposed by the city: CHF 4.30 per person, per night for adults; CHF 1.80 per night for guests aged 6-16 years old. This tax does not apply to children under 6 years of age.